SecuROM 5 DRM for the original release, SecuROM 7 DRM for the expansions and rereleases. Has the original 2004, 2005 Gold, and 2006 Platinum releases. No longer available digitally due to an ongoing lawsuit between Frontier Developments and Atari. Used to be available on GOG.com and Steam as the Platinum! edition. Track designs can be imported from RollerCoaster Tycoon and RollerCoaster Tycoon 2. Copy all the desired files with either a .TD6 or .TD4 extension into %USERPROFILE%\Documents\RCT3\Coasters\. Run the game and start a new game (sandbox or any scenario). Click on the button immediately below the rides button (it looks like a wrench and hammer). When you click the button, a list of all the .TD6 and .TD4 files currently in %USERPROFILE%\Documents\RCT3\Coasters\ will appear. Click on the desired track from the list to import it. These instructions are for the Windows versions of the game. Due to differences in how RollerCoaster Tycoon and RollerCoaster Tycoon 2 handle track designs, not all tracks will be compatible. Installing patches for mismatched editions causes problems, be sure to get the correct update. Original Edition: The latest is update three. From vanilla. From update one. From update two. "Soaked!" expansion: There is only one patch for this expansion pack and is segmented to US and EU patches. Those who own the Scholastic version of the game should pick up this patch instead. "Wild!" expansion: The American version has 2 patches, Update 1 and Update 2. The EU version can be found here. Platinum Edition: Comes fully pre-patched. OS X location may vary depending on the version of the game you have. See Borderless fullscreen windowed. Fonts may appear altered. Edit Resolution XXXX YYYY line to your desired resolution. 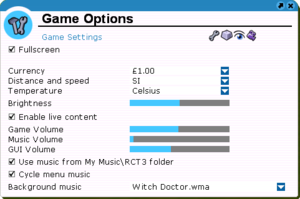 Music, GUI, and game volume controls. In Windows Vista or Windows 7, users may experience a crash while attempting to start the game for the first time. Go to <path-to-game> and open options.txt. Locate the line FirstRun 1, found under the TWEAKS section, and change it to FirstRun 0. 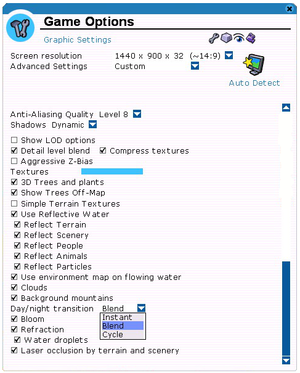 Some crashes can be caused by manually setting the resolution. Replace the numerical values with your desired resolution. The first value is width, the second is height. You may need to show hidden files in order to see the config file. Administrator privileges are recommended to ensure the fix is applied to all users. This issue is caused by the game not being installed on the system partition. ↑ 1.0 1.1 File/folder structure within this directory reflects the path(s) listed for Windows and/or Steam game data (use Wine regedit to access Windows registry paths). Games with Steam Cloud support may store data in ~/.steam/steam/userdata/<user-id>/2700/ in addition to or instead of this directory. The app ID (2700) may differ in some cases. Treat backslashes as forward slashes. See the glossary page for details. "Q: How do I convert tracks from RCT or RCT2 into RCT3? 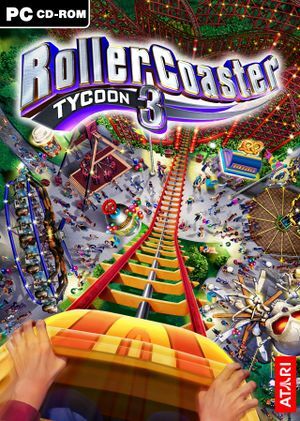 A: Simply drop the TD6 or TD4 files in the My Documents\RCT3\Coasters folder; then when you run the game a new button will appear at the bottom of the rides button (it looks like a wrench and hammer). 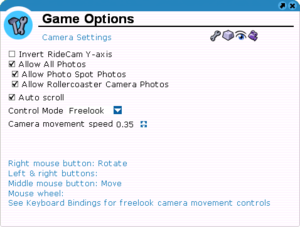 When you hover your pointer over new button, the tool tip reads "Import Track Designs From Previous RollerCoaster Tycoon(r) Games." 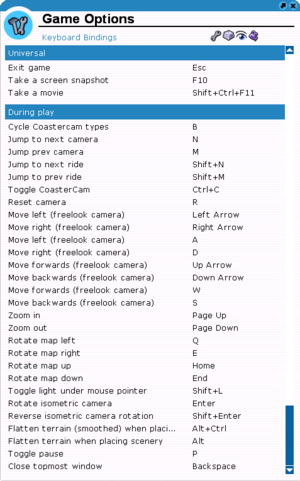 When you click the button, a list of all the TD6 and TD4 files in the My Documents\RCT3\Coasters folder will be appear. The issue with some rides not importing is that the clearances are different in RCT1 and RCT2 so not all old coasters work. The game may have issues if you import an old coaster and the tracks run into each other. Hopefully most of the coasters import ok."
This page was last edited on 30 March 2019, at 07:26.